Customer Community provides the ability to quickly create web forms that can be either embedded into your website or added via a hyperlink. 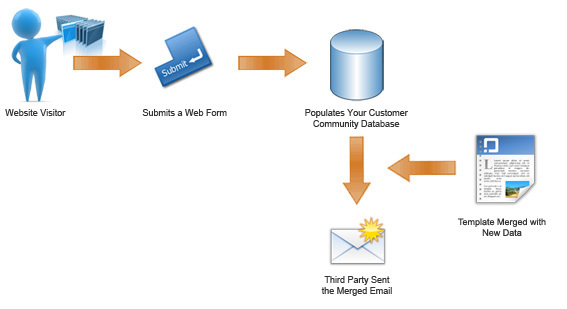 The form details will automatically populate your Customer Community marketing database. Perfect for enquire now or web feedback. Each form submit adds to your subscriber list helping to grow your database and ensuring you add to your newsletter distribution. 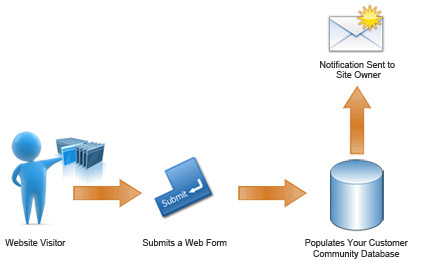 A more advanced form can not only populate the database but also notify a nominated email account when a visitor subscribes. Congratulations! you have a new subscriber. 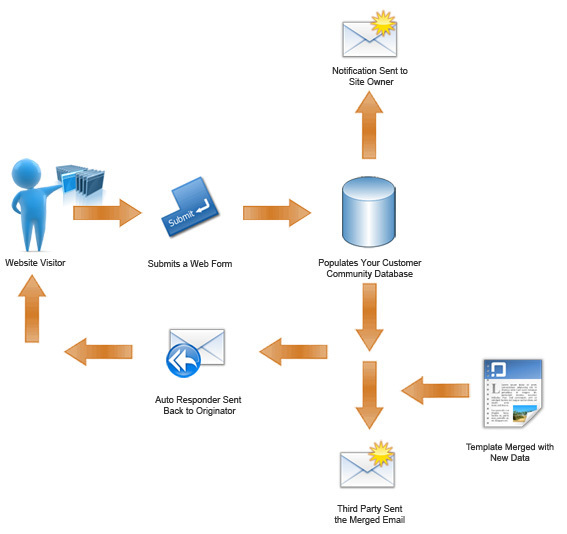 or even mailmerge contact details with a preformatted template. The new contact named John Smith has been added to the database. Please make sure they receive a welcome pack. Sometimes forms can be used to register for events, courses or a wide range of other activities. 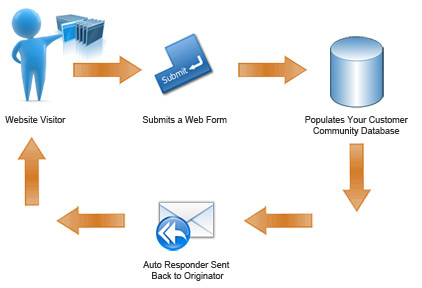 The use of an auto responder ensure the visitor will receive a confirmation email. You can even include links back to a PDF, user guide or webpage as part of the auto responder. Some clients use this for conference or training registrations with the auto responder containing suggested reading or links back to venue directions. The perfect way to ensure the visitor receives the information they need and making you look professional. Form data mail merged with a template and sent to a third party. The Australian Marine Conservation Society (AMCS) have found this to be particularly useful with a form submit creating a new contact in the databases, advising the AMCS they have a new member and then merging that member data with a notify template which is then forwarded on to the environment minister. All from the single submit from a web page. This impressive marketing solution allows for even more complex forms. The flexibility can be combined to cater for almost any form handling scenario. Ready to start the conversation? Call us at 02 9411 3111 to schedule a free consultation. We'll have a friendly web guru ready to answer your questions.